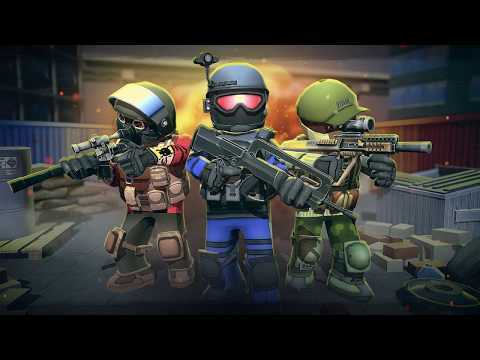 KUBUM | CLANS is a fresh cross-platform online first-person shooter with classic and familiar gameplay mechanics in the style of "shoot everything that moves, and make it as spectacular and technically possible". Non-stop action in the hurricane, 15 locations, three dozen firearms, different game modes, a clan system and a large number of players will surprise all fans of hot and ongoing skirmishes. - Easy management with the ability to work offline (can be disabled in the settings)! - More than 50 different types of weapons! - Adjust weapons: images, silencers, lasers, enlarged clamps, expansion joints and more! - More than 100 skins for weapons! - More than 45 clothes to customize your character! - Dynamic 5x5 fights against team mode, with up to 10 players in "Deathmatch"! - Beautiful graphic images that do not take up much space on your device! - Clans with the ability to do clan wars!